Menteng is a neighbourhood in Central Jakarta and is best known for its residential area, which is one of the most exclusive neighborhoods in Jakarta. This “Beverly Hills of Indonesia,” as it’s sometimes called, is home to bureaucrats and diplomats and filled with beautiful tree-lined streets, grand fountains, and excellent dining and entertainment options. It’s also where several important political figures grew up, including former American president Barack Obama, who went to two different schools in the area. If you find yourself in this exclusive neighbourhood, here’s what to do in Menteng, Jakarta. When researching what to do in Menteng, one of the main things that will come up is to eat. This area is full of excellent restaurants that serve both local and international cuisine. Here are just a few of the restaurants in Menteng you don’t want to miss. 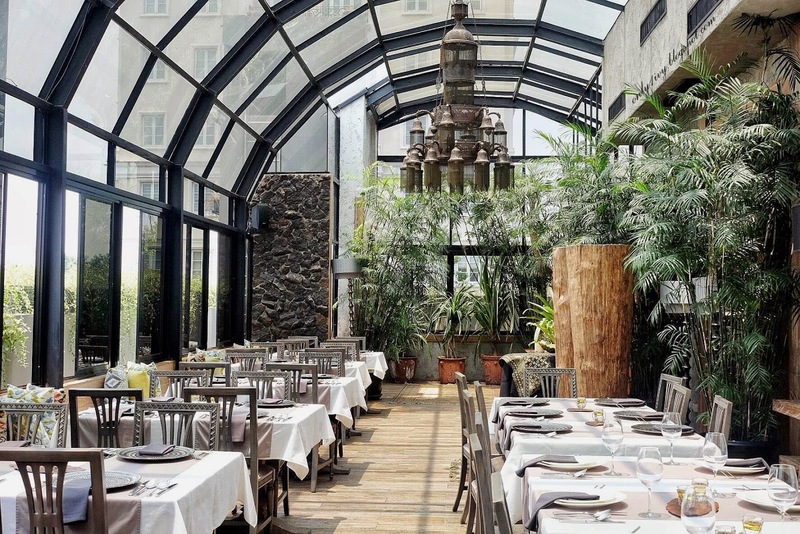 Situated in an antique Dutch colonial house, Bunga Rampai is one of Jakarta’s best known—and most upscale—restaurants. Diners flock here not only for its excellent Indonesian cuisine (with some Dutch touches) but also for its elegant décor and ambiance. The dining spaces are spread out over three floors; all are beautiful and the third floor has a beautiful glass arch ceiling. In the mood for French cuisine? 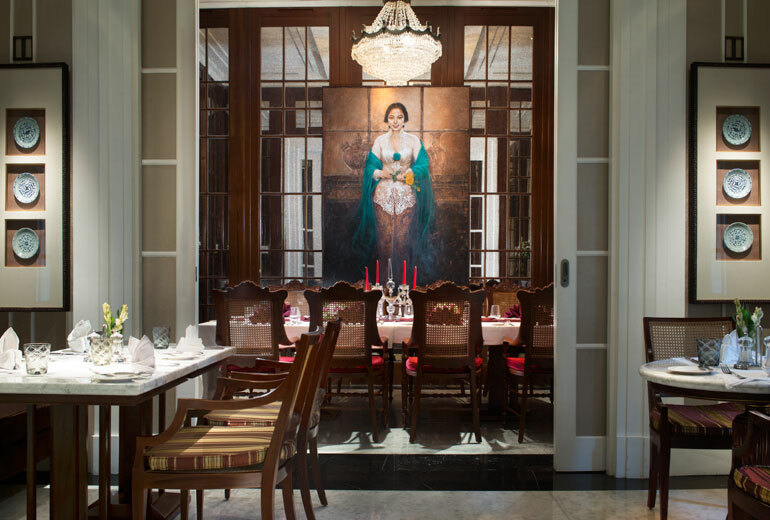 Head to L’Avenue, a fine French restaurant in The Hermitage, a 5-star boutique hotel in Menteng. L’Avenue’s décor includes Carrera marble and colonial-era artwork. 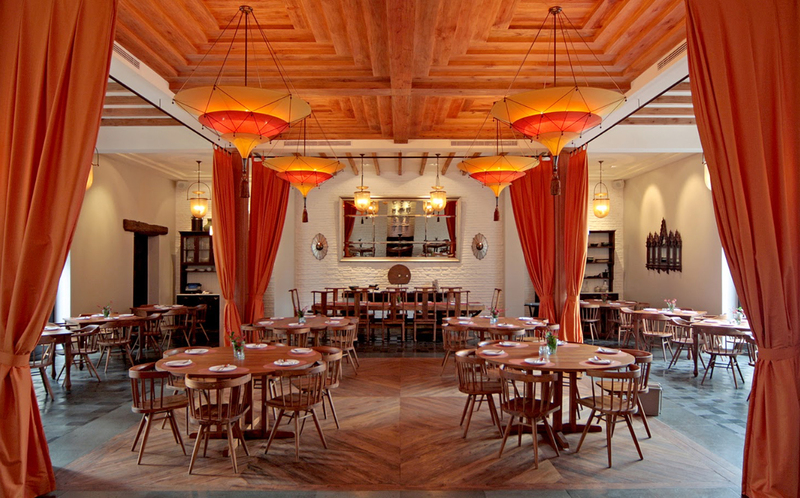 They describe their cuisine as “chic-ethno-bistro style”; it includes French and European dishes. Bebek Bengil, which means “dirty duck” in Indonesian, serves Balinese cuisine such as its namesake, bebek bengil (which is Balinese crispy duck), nasi campur bali (Balinese mixed rice), and other Balinese favorites. Dine in a memorable setting of unique design and architecture at Sribu Rasa. There are multiple locations around Jakarta, including this one in Menteng which is popular with both locals and expats. 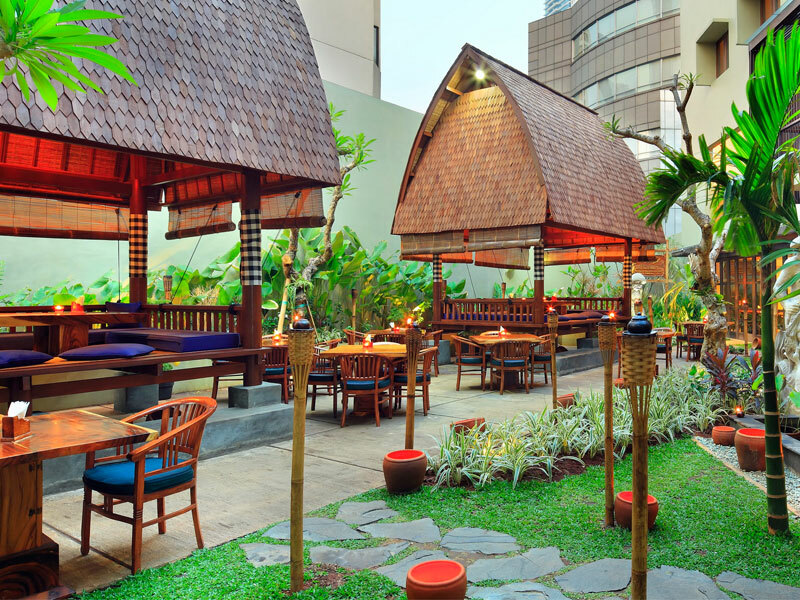 This Indonesian restaurant has a large selection of Indonesian dishes and it offers diners the opportunity to try some of the specialties from Indonesia’s various islands. While the prices are high for Indonesian food, they’re very reasonable by international standards. Menteng Jakarta is popular with tourists and expats so there are plenty of bars and lounges to drink. Here are some of Menteng’s best bars. 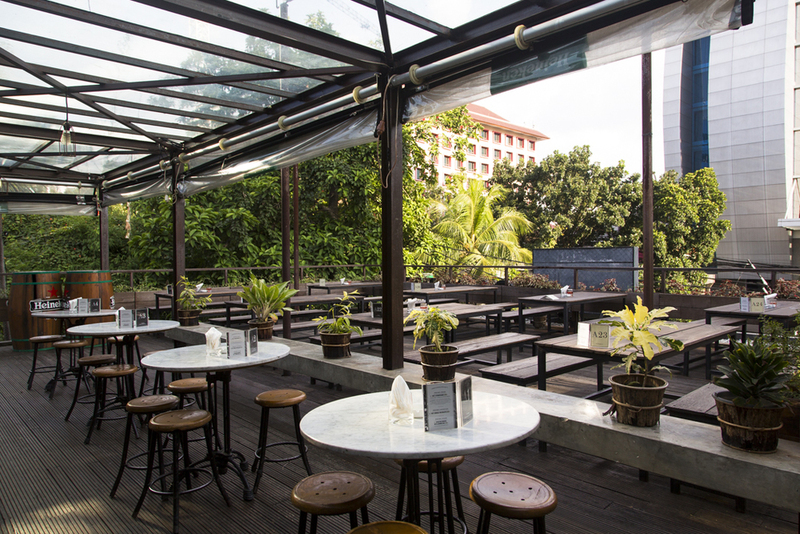 Beer Garden Menteng is one of four Beer Garden locations (or “siblings” as they call it) in Jakarta. 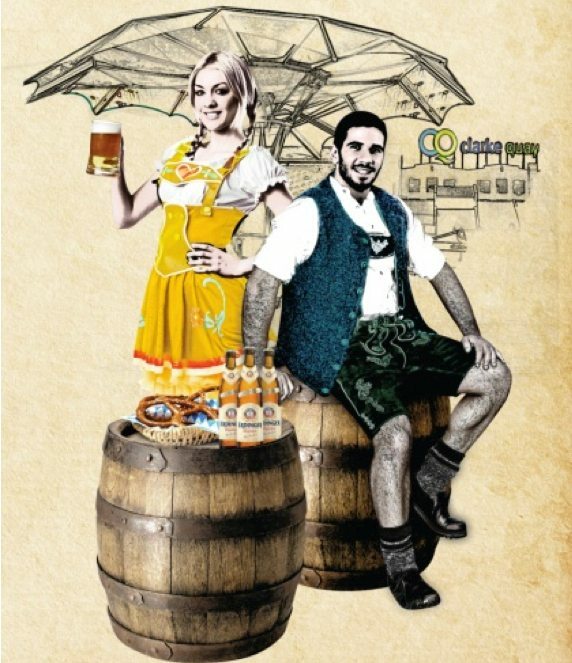 Their Menteng location is two stories high and offers a large selection of local and international beers and cocktails. 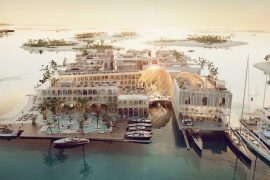 The atmosphere is stylish and comfortable and there is a live acoustic band that performs almost every night. 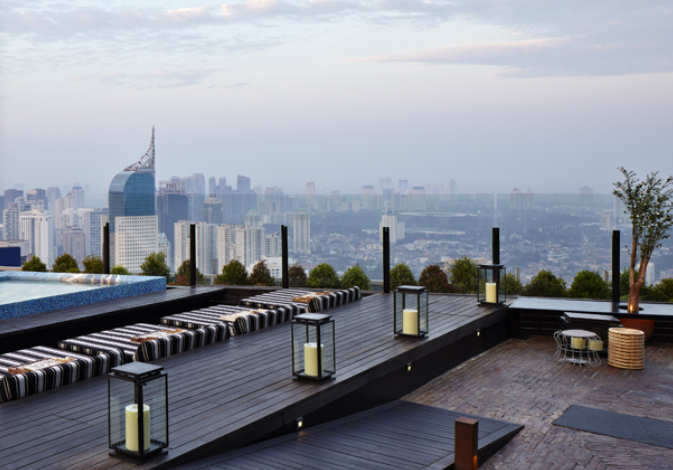 Located 56 floors up on the rooftop of the BCA Tower, Skye Menteng refers to itself as a “lifestyle resort in the sky”—a getaway from the hectic life below. The upscale restaurant and lounge features panoramic views of the city and daytime and nighttime dining options. Their bistro-style restaurant serves burgers, salads, seafood, and more; in the evening the outdoor lounge offers excellent cocktails, finger foods, and amazing views. One of the oldest bars in Jakarta, Face Bar is still popular, largely with expats and tourists. The interior is posh and filled with antiques and contemporary art. Don’t want to drink on an empty stomach? There are two fine dining restaurants in the same building: Lan Na Tai, which serves Thai food, and Hazara, which serves Indian cuisine. There are a couple of well known spas in Menteng and lots of small ones located in the malls or hidden on side streets. Here’s one of Menteng’s tried and true spas. The Taman Sari Royal Heritage Spa is royal indeed; it was founded by Dr. BRA Mooryati Soedibyo, granddaughter of King Susuhunan Pakubuwono X. The spa offers authentic and holistic Javanese spa treatments such as reflexology, aromatherapy, facials, massage, and various specialized skin and body treatments. It was nominated for the World Luxury Spa Awards in 2016. One of the main things to do in Menteng Jakarta is to shop. Plaza Indonesia, often called “PI,” features three levels of retail shops and dining and entertaining facilities, including a cinema. 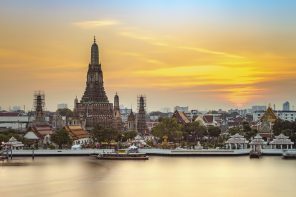 In addition to a large number of luxury stores, there are bookstores, stationary stores, health and beauty outlets, children’s clothing and toy shops, gift shops, and more. The Grand Indonesia Mall is a massive shopping complex with a mixture of major international brands and local shops. It also has a number of dining choices, from a food court to bakeries to fine dining. If you have kids in tow, there are play areas and rides to keep them entertained. 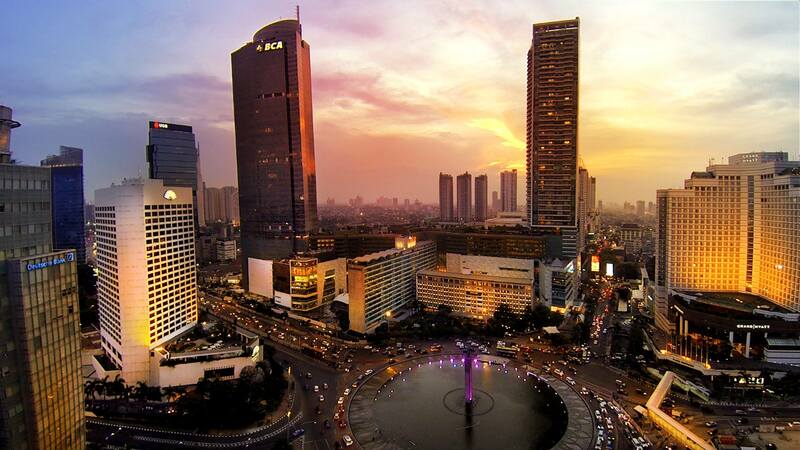 Menteng is ideally located in Central Jakarta amongst the hustle of bustle of the city. If you want to minimise the amount of time you spend in traffic, try to stay close to where you’ll be going. To stay close to everything there is to do in Menteng, here’s where to stay. Located in a beautifully restored art deco building, The Hermitage offers serenity and elegance in central Jakarta’s Menteng neighbourhood. Guests can enjoy The Hermitage’s rooftop pool, fitness center, and spa; dining options include upscale restaurant L’Avenue, rooftop bar La Vue, and a private dining room for family or business gatherings. Most of The Hermitage’s 90 rooms and 14 suites feature a separate living room and bedroom, and all have flat-screen TVs, media hubs, and complimentary Wi-Fi. Check rates.